The heroine of this book is nature's simplest atom, the hydrogen atom. With one exception—the helium atom—hydrogen is the mother of all atoms and molecules. The hydrogen atom consists of a single electron and a single proton; the proton is the nucleus of the hydrogen atom and serves as the electron's anchor. The universe is teeming with hydrogen: every cubic centimeter of dark interstellar space, essentially void of any other known matter,1 contains a few atoms of hydrogen. At the other extreme, every cubic centimeter of the planet Jupiter's interior contains in excess of 10 million billion billion (1025) atoms of hydrogen. And every star, throughout its long life, illuminates its cosmic neighborhood with light that originates with the burning of the atom that dominates its material composition—hydrogen. One must not dismiss this chemical element because of its simplicity. In fact, it is the simplicity of the hydrogen atom that has enabled scientists to unravel some of the mysteries of nature. This humble atom has consistently surprised the most distinguished (and confident) scientists and contributed to our understanding of the natural world. This book, however, is more than a book about the hydrogen atom. It is a drama, written for the general reader, in which the intriguing hydrogen atom plays a starring role. Each chapter un folds a particular episode in which hydrogen has led scientists to new scientific insights. Collectively, the twenty-three chapters that follow reveal much about the conduct of science. On one level it is a focused story that chronicles the hold the simplest atom has had on the minds of the world's greatest scientists over the decades reaching back into the nineteenth century. Niels Bohr, Arnold Sommerfeld, Otto Stern, Werner Heisenberg, Wolfgang Pauli, Erwin Schrödinger, Paul Dirac, Harold Urey, 1.1. Rabi, Norman Ramsey, Edward Purcell, Felix Bloch, Willis Lamb, Daniel Kleppner, and Theodor Hänsch all have advanced and refined knowledge of the physical world through their fascination with the hydrogen atom. On another level, the story of hydrogen reveals how science is conducted. Physical theories are created to provide explanatory schemes whereby the observed world can be understood with quantitative precision. Those theories that capture the support of scientists are those that allow detailed predictions to be made and lead to new insights into the natural world. Good theories are simple theories that unite disparate realms of experience. Physical theories, however, must always yield to the demands of experimental data. Experimental facts are incontrovertible. If they are not accommodated by theory, the theory is held in question. Theories, good theories, are not quickly abandoned. Strenuous effort is exerted to refine a good theory so that experimental facts can be explained. In the final analysis, however, experimental results, once tested and retested, once verified by independent experimental methods, ultimately rule. Dirac's theory was elegant and beautiful, but in the face of data from Lamb and Rabi, it fell short. Their data then became the stimulus for the more powerful theory of quantum electrodynamics. The experiments on the hydrogen atom chronicled in these chapters demonstrate the significance of precise measurements. Although all scientists seek to refine their experimental proce dures to minimize the uncertainties in their measured results, uncertainties of several percent are typical. However, to expose shortcomings in theories and to test their limits, precise results are often necessary. 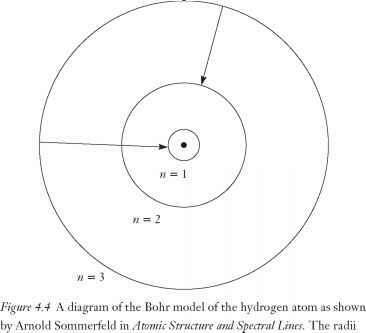 The hydrogen atom has been the premier physical system for challenging theoretical constructs and precise measurements are the sine qua non when hydrogen is the subject of investigation. Furthermore, precise measurements can reveal unexpected results. In Rabi's series of experiments to measure the magnetic moments of the proton and deuteron, uncertainties were reduced from 26 percent to 0.7 percent. With the improved precision, evidence for a new property of the nucleus, the qua-drupole moment, was found lurking in the data. Through the example of hydrogen, we have also seen how basic science may lead to practical applications. Basic science typically operates far from the technological applications that predictably follow. The objective of basic science is to learn how the world works. Nonetheless, the knowledge gained through basic research and the methods developed to probe the natural world frequently hold within them the potential for very practical and welcome uses. The magnetic resonance method discovered by Rabi and his group of students led to nuclear magnetic resonance at the hands of Purcell and Bloch, which in turn led to the powerful medical diagnostic tool of magnetic resonance imaging. Ramsey's and Kleppner's hydrogen maser clock is an integral part of the technology of global positioning systems, which have manifold applications. When nature's ways are understood, applications follow that can be used for good or bad, for peace or war. Consider the fusion of hydrogen. Einstein's relativity theory, basic physics at its best, showed how nuclear fusion could produce vast amounts of energy. Applications were soon understood. On the one hand, for example, it was understood that the fusion of hydrogen occurs in the Sun and its energy nurtures life on planet Earth. On the other hand, the fusion of hydrogen can occur in a bomb and its energy can inflict devastating destruction. The hydrogen bomb is an important part of the hydrogen story and it could have been the subject of a chapter in this book. I decided against it for two reasons. First, the prominent theme of the following chapters is how the hydrogen atom led to new basic scientific knowledge. The fusion bomb does not fit into that theme. Second, there is a vast literature on the hydrogen bomb and another chapter seemed hardly necessary. Science is an international enterprise, which the examples in this book make clear. Although communities may differ enormously in their cultures, their religious convictions, their artistic expressions, and their political structures, in the arena of science, the world's diverse human groups are unified. There is no German science, no Asian science, no Hindu science. Bose was Indian, Einstein was German, but the two came together as scientists and predicted a new form of matter—the Bose-Einstein condensate, which was eventually verified by American scientists. This book further illustrates how science itself has changed over the decades. The early chapters typically have one name associated with them. In earlier eras, science was such that an individual could work alone and make significant contributions. The experimental apparatus was relatively simple, could be constructed by one scientist, and put together on a laboratory table. As science progressed through the twentieth century, however, it became more specialized, and the experimental apparatus required became more complex. Many talents are now required to conduct an experiment and science has become a group activity. Many scientists have measured the Rydberg constant and could have been identified along with Hansch. Four experimental physicists were identified with the discovery of the Bose-Einstein condensate, and no one was identified with the discovery of anti-hydrogen simply because many scientists at different laboratories were involved. The hydrogen atom has intrigued physicists because its simplicity allows conceptual models to be created and then tested against experimental data. The inherent logic of a conceptual model is expressed mathematically and the simplicity of the hydrogen atom permits the resulting mathematical expressions to be solved exactly and compared directly with experimental data. This is physics at its best. At various times in the history of physics, there has been a tendency for physicists to believe that the time to unravel the final mysteries of nature was at hand. In response to this malady, I once wrote a short piece entitled "H Stands for Hydrogen . .. and Humility. "2 (This piece, I am told, hung for a period on an office wall at CERN, the high energy physics laboratory in Geneva, Switzerland.) In the essay I raised a cautionary note about claims that we were nearing a "grand unified theory" that would explain all physical interactions or that we were nearing a complete understanding of such momentous questions as how the universe began. "The hydrogen atom," I wrote, "still beckons."